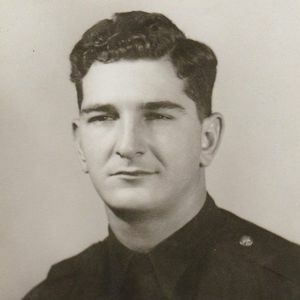 Charles T Mancuso, 90, passed away on Sunday, March 17, 2019 in San Antonio, Texas. Born to Anthony and Frances Mancuso in Queens, New York, Charles was warm and welcoming to all. He devoted himself to his beloved wife, Edith J Mancuso, for 64 years. A proud father, grandfather, and great-grandfather, he was known as "Pop-Pop" to his grandchildren and "The Mayor" to his friends. Charles was very spiritual, as well as an avid golfer and wine connoisseur with an incredible sense of humor that was larger than life. He and his family enjoyed sharing dinner on Sunday nights with pasta and raviolis from New York. After 32 years of service, Charles retired as a Captain from the New York City Police Department. Charles was preceded in death by his parents, and siblings: George, James, Vincent, Rose, and Jeanette. He is survived by his wife, Edith; daughters, Joanne Loftus and Dr Patricia Mancuso (Dr Andrew Auber); surrogate children, Ronald Neville, Steven and Benita Scudellari; grandchildren, Melissa Reilly, Matthew DeBlois, Danielle Blits, Alana Auber, Gabriela Auber, Austin Auber, Nikolas Auber, and Emily Auber; great-grandchildren, Nathaniel Reilly and Jackson and Emilia Blits.